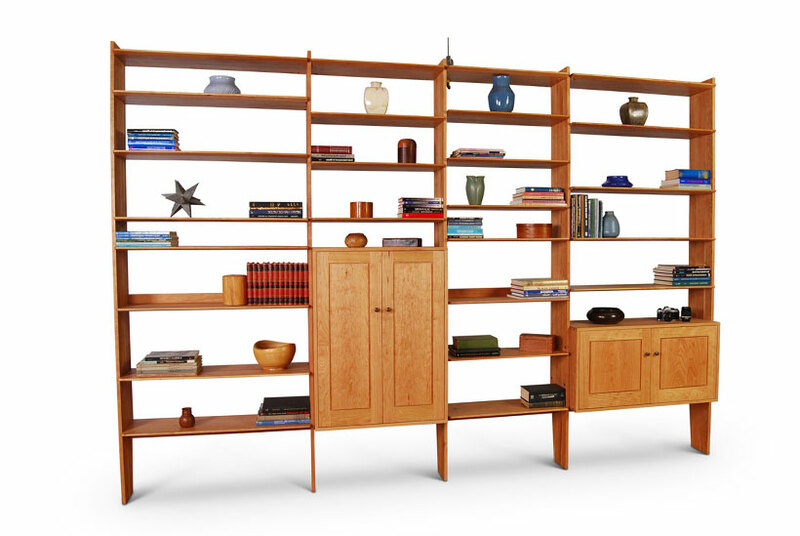 Our contemporary wall unit is crafted in solid hardwood in our Brooklyn workshop. The model pictured here,in Pennsylvania cherry , was designed for a Park Slope townhouse living room. 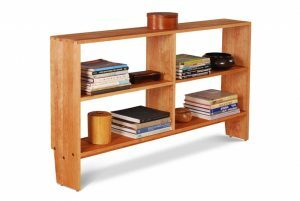 The wall unit is structurally very rigid owing to bolted mortise and tenon construction and fits flush against the wall without the need for a separate back. 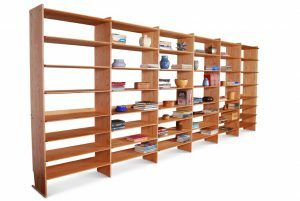 We make similar units to nearly any specification in your choice of locally sourced hardwoods; cherry, red oak or white oak, birch, or walnut. 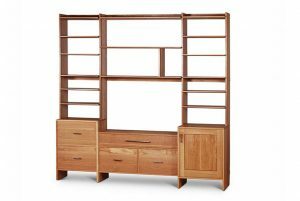 We offer several options for cabinets, drawer units and desks that fit into the system. Cabinet doors are offered as wood panels, as pictured or glass. 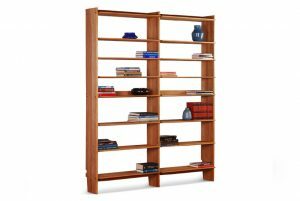 Provisions for wiring are made in the vertical elements as well as the shelves allowing loudspeaker wires, etc., to be routed anywhere in the wall unit. We invite you visit to our showroom where our experienced designers can assist in creating a configuration suitable to your needs and space.